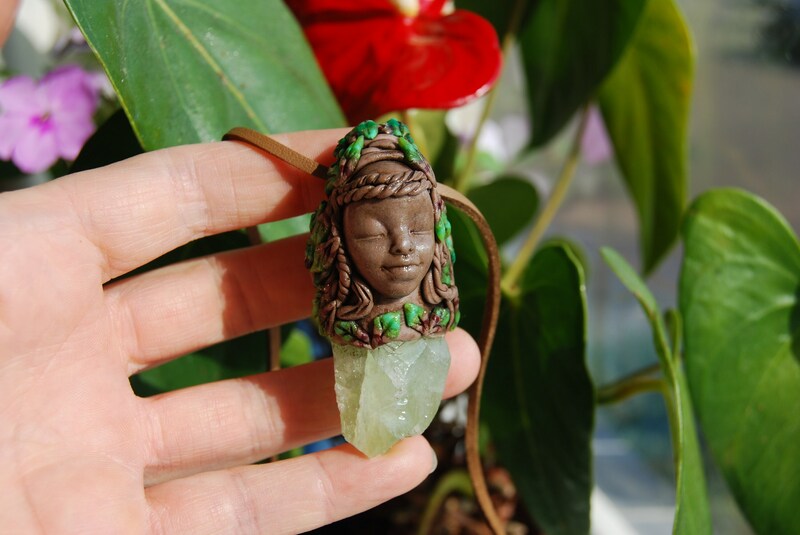 This is a raw green Calcite in a durable goddess clay setting that I made myself. Calcite itself holds the elemental energy of fire, however, by adding the element of water to this stone, Its power is linked directly in connection to the heart. That’s right, Green Calcite rules over the heart chakra and will aid one in balancing heartfelt emotions and in the release of stress, frustration, jealousy or resentment. Green calcite is particularly unique amongst all other Calcites considering its polar elemental rulerships (fire/water) as well as its genuine connection with the heart. Its polarity of water and fire allows one to step into the willingness to change for the better. The fire aspect of Green Calcite wants one to observe where they may need positive change and to move on it. Green Calcite's water aspect specializes in the cooling of emotions that are filled with anger, stress or resentment. 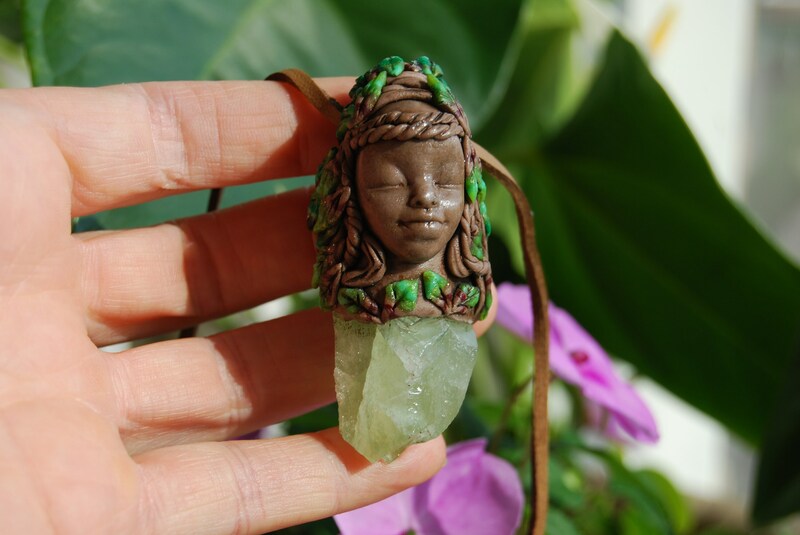 By grasping a piece of green calcite we are treating the spiritual and mental body to a calming drizzle of rain that soothes and refreshes the emotions in tranquil waters. 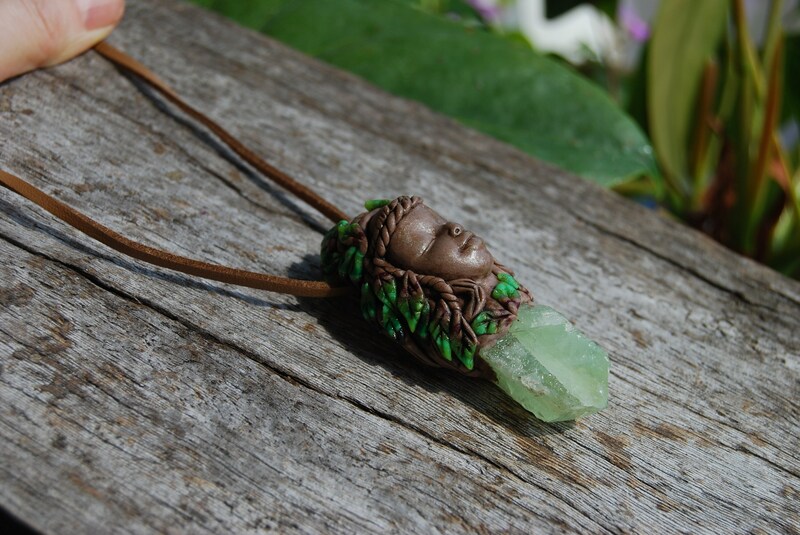 Not only will Green Calcite aid in the calming of the fiery emotions, it will also help to expand upon those emotions that are in resonance with its properties. For example, if somebody is feeling very compassionate toward another, green calcite will expand upon these feelings and maintain that compassion. This stone is a perfect match for somebody who tends to think intensely or execessively. 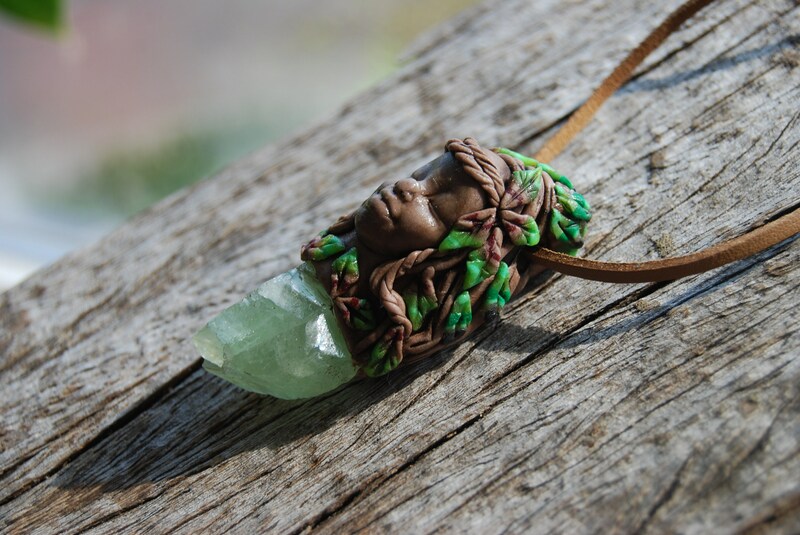 Wearing this stone or keeping it in your pocket will allow daily stress to fade Into a calming awareness that allows us to release any feelings or thoughts that do not serve our highest good. Aside from calcites influence on the heart, it also plays a significant and transformative role on the physical body. Green Calcite will aid in the rejuvenation process. 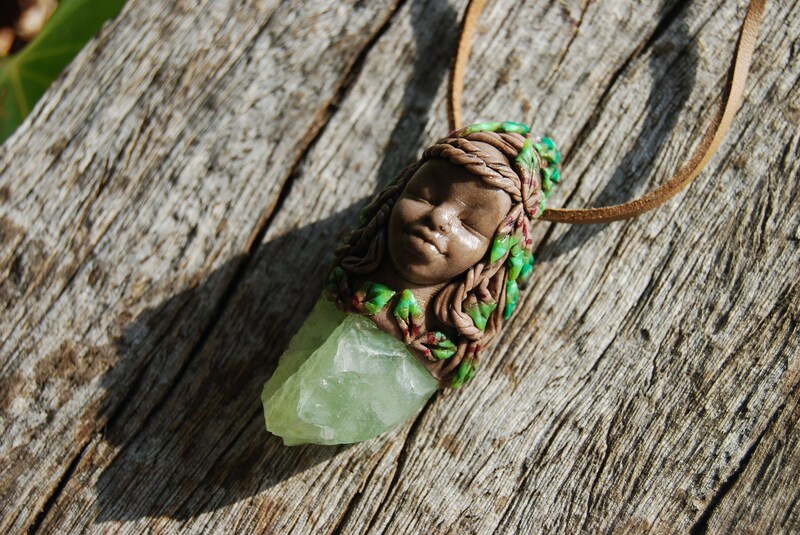 The physical body’s healing process is heightened when in the energy field of green calcite. As most illnesses can be directly linked to some form of stress, it is easy to tell how green calcite can be so stimulating in the healing process. Green Calcite also has its social benefits. Because it opens one up to their heart center, it allows the individual to remain more open to new people or encounters and is said to rid one of social anxieties or fears. The fire aspect of Green Calcite asks you to step outside of fear, push your comfort zone and change in a positive way. Measures 2.55 inches / 6.5 cm from top to bottom.